Lucky for this youngster, it was school holidays and a teenager was roaming around early this morning (we're talking in terms of teenager early). I think nest 3 is missing a youngster. They are due to fledge about now, so makes sense. The cup appears to have only one or two occupants now. 3 fledged nests, two currently feeding and one incubating/feeding is more than seemed possible a few months ago. 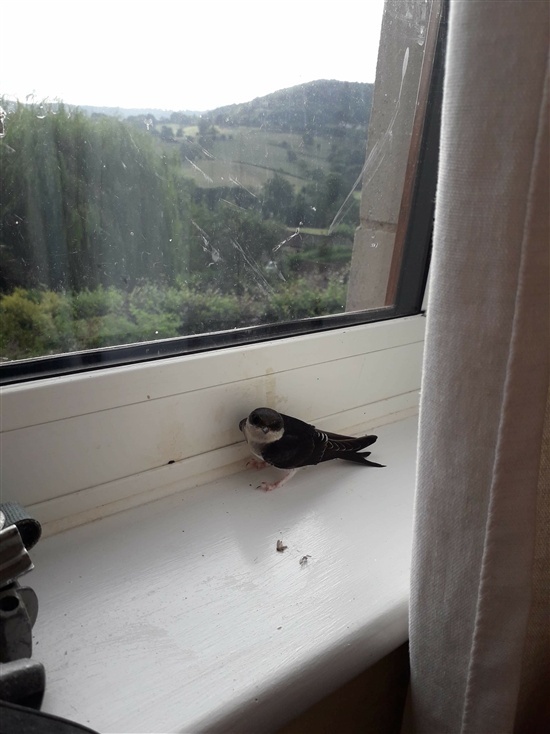 lol Rob, it's not called a House Martin for nothing ! great pics. Great photos. We have a teenager like yours. That's the downside to teenagers. Always highlighting parental failings! I've finally got that car up in the roof with the rest of Polly Pocket collection! It escaped the mass roof filling exercise 5 years ago and has been on that windowsill ever since. Very slack. Ditto that old base drum pedal. Thanks re comments. Had another young bird stuck a couple of days ago. Wren this time. It couldn't find its way out of a totally open carport! Phone photos were a bit too dark to share, but the teenager did a good job with that rescue too. 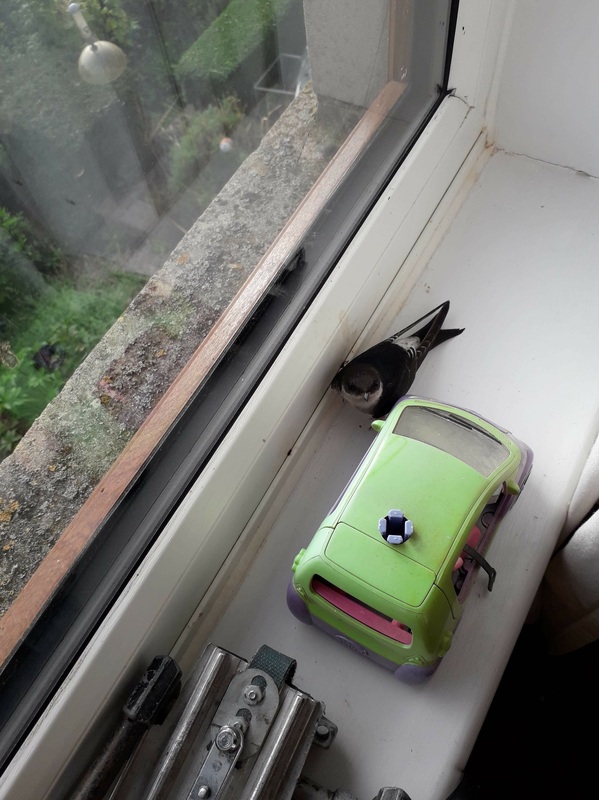 Had another young bird stuck a couple of days ago. Wren this time. It couldn't find its way out of a totally open carport! lol, you should have left a trail of live mealworms so it could follow the exit sign ! We definitely need some sort of solution to the baby bird invasion as teenager only has another almost four weeks off.....FOUR WEEKS!!! Calm down, calm down Mr Mannering!!!! You will miss him when he's gone!!!!! Your teenager sounds like a teenager to be proud of. S/he is certainly getting up close and personal with these beautiful little birds!